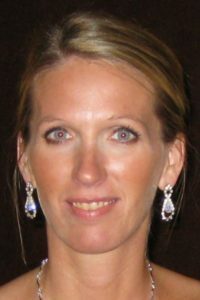 Danielle L. Heck-Lonning | Tri-State Cremation Center, Inc.
Danielle L. Heck-Lonning, age 43 of Asbury, Iowa, completed her journey on Friday, April 12, 2019 in her home, surrounded by her loving family, after a short battle with Colorectal cancer. To honor Danielle’s life, a private service will be held. Danielle was born on May 7, 1975, in Waukon, Iowa, the eldest daughter of Jerry and Katherine (Rumph) Heck. From a young age, Danielle knew that she was going to invest her time and talents helping others. Danielle graduated from the University of Iowa with her PharmD degree in May 2000, and began working as a Pharmacist in Dubuque. Danielle enjoyed her work and became friends with countless co-workers and patients throughout her 19-year career. Danielle’s greatest joy was spending time with her family creating life-long memories. Her devotion to her two beautiful daughters, Alexis and Ava, and husband Dale, was unceasing. Her abundance of love will be cherished in their hearts forever. Danielle had an insatiable appetite for exercise and healthy living. Her spirit, love and strong heart will endure in those survived by her. We will miss her beyond words, love her beyond measure, and await patiently for the eventual day when we can once again embrace her beyond time. Thank you for all of the light, love and laughs you shared during your 43 short years among us Danielle; we will hold them dearly until we meet again! along with numerous aunts, uncles, nieces, nephews, cousins, and friends. Danielle was preceded in death by her grandfathers, Theodore Rumph, Gerald Heck, and Herb Trappe. In lieu of flowers, donations in honor of Danielle may be made to the Colorectal Cancer Alliance at https://fundraise.ccalliance.org/blue-star-tributes/Danielle. Danielle’s family would like to thank the outpouring of support by family, friends, neighbors, and co-workers. Your generosity and compassion have made this difficult journey easier to travel. In addition, the family would like to thank the staff of Grand River Medical Group, Wendt Regional Cancer Center, UnityPoint Health – Finley Hospital, and Hospice of Dubuque for all their professional and compassionate care. To honor Danielle’s life, a private service will be held. I met Danielle through K Mart pharmacy. She was always there with a smile,ready to help you. She made you feel like a friend.May she Rest In Peace! I’m sure she’s smiling upon us! Our deepest sympathies to Dale and his kids. My deepest sympathies to Danielle family. I work with Danielle at Wal-Mart and she was very helpful when it came to my family medication. She will be miss by a lot of people. Danielle and I bonded over my autism sweatshirt at the Walmart pharmacy. She was so sweet and very caring. Rest easy sweet Danielle. My deepest sympathy to your family. Our thoughts and prayers go to Danielle’s family. She was a wonderful and caring woman. My deepest sympathy to Danielle’s family. I am grateful for the time I had to work with her. She will be missed. My prayers go out to all of you! So sorry to hear of Danielle’s passing. So sad to see someone so healthy and vibrant be a victim to this nasty disease. I know that the arms that welcomed her into heaven will reach down and comfort all of you. Know you are going to miss her! I am so saddened to learn of Danielle’s illness and passing. I remember her kindness and smile. She was so loved by all of you. My condolences to all of you. Al and I send you our very deepest sympathy during this very difficult time. Take care in the days ahead. My biggest sympathy to all of Danielle’s families. I will always remember the daily walks, Whippy Dip, Lifeguarding, and the summer we worked at the factory. What a beautiful lady gone too soon. Danielle was my daughter Kim’s roommate in college and beloved friend. We are so sorry for your loss. Danielle was an awesome person and will always hold a special place in our hearts. Jerry and Celia Brown from Monona. I’m so very sorry. My heart breaks right along with yours. I only knew Danielle two short years that I worked with her. She was such an inspiration to me. Always so full if energy and eager to help anyone that needed it. I’m sure you’ll hear it many times how thoughtful she was and always so cheerful. She will truly be missed by many. My prayers to you all. We are so sorry for the loss of your daughter. So heartbreaking. Prayers for you all. We are so sorry for your loss. Our thoughts and prayers are with all of Danielle’s family and friends at this difficult time. We had no idea Danielle was going through all this. You, Dale and girls , Dacia and everyone else in your family have our sympathy. So sorry. I have been holding your family in my prayers. Danielle was gone to soon and will be missed greatly. May God’s peace and comfort be with you during this time. Danielle was a ray of sunshine at the Shopko pharmacy. Always smiling, complimentary, and genuinely caring to us customers. The world needs more people like Danielle.So sorry for your loss. I am so very sorry for your loss. Danielle was a beautiful lady with a big heart. She was a hard and friendly worker she always puts a smile on your face she will be missed dearly prayers are with you and your family. My deepest sympathies. She was a truly loved person. I met Danielle when I started to care for my grandmother. She got her prescriptions at Shopko. When I asked her why she used Shopko, she told me that it was the best place to get your medicine because the people were so nice. I had never been to this particular pharmacy and planned to switch everything over to another pharmacy for convenience. After meeting Danielle and seeing how well she knew my grandma and how repectfully she treated her, I ended up switching all of my prescriptions to Shopko, too. Danielle was genuinely one of nicest persons I have ever met. I looked forward to seeing her when I would need a prescription. We would talk about our kids, running, Disney World and anything else. She was also the most efficient and caring pharmacist I have encountered. She would have things ready for me before I even called. Whenever Danielle saw me out and about, she always came over to say hi and chat. I will miss seeing her around. Life is so unfair and I cannot imagine the hole her passing has left in the hearts of those who loved her. You have my deepest sympathy. Please know that Danielle made a difference and had a lasting impact on so many people during her time here one earth. I’m sure she is running around heaven and has probably already caught up with my grandma and the rest of her patients who she took such good care of. Our deepest sympathy to your family. Danielle was a breathe of fresh air, always smiling and waving on a run through the neighborhood. You will be in our thoughts and prayers. Danielle was truly an earth angel. she was so kind and genuine to my mom and me at k mart pharmacy during mom’s terminal illness. may she rest in peace now as a truly heavenly angel. with deepest sadness and prayers. linda digman. May God be comfort you, Heck&Lonning families, as He guides you in healing. Jerry and Kathy, I am thinking of you and will pray for your comfort. Such a tragic loss. Respectfully, Julie Askelson. I will always remember Danielle’s infectious smile and laugh. She will be missed by so many. The world has lost a great person!! I would like to extend my sympathy to Danielle’s family during this difficult time. Kathy and Jerry… so very sorry to hear of the passing of your beautiful daughter. I so remember when you named her after our very wonderful friend all those years ago! Thinking of you both during this very difficult time! I was saddened to hear of Danielle’s passing. I was a patient of hers for several years. Danielle was a very caring and compassionate person. She always went above and beyond in helping, explaining and making sure you understood what meds a person was taking. A bright light has definitely been extinguished. May she Rest In Peace. Words cannot express the deep sorrow and sympathy I feel for your loss. I pray the support and love of your family will help you through this trying time. I pray for Danielle’s family and may their happy memories sustain them for a lifetime. We are shocked to see that Danielle has passed away. Had no idea she was ill. It’s difficult to pass by the pharmacy in Walmart. We loved this young woman for her professionalism, personal concern and wonderful sense of humor. God love you Danielle. I was so sorry to hear of Danielle’s passing…in fact I was stunned. I met her at Shopko Pharmacy. I had gone through two bouts of cancer and she was a ray of sunshine every time I went in. She always had a kind word, a sweet smile, answered any question I had with genuine care and concern. I always left feeling better than when I went in. She made everyone feel special but she was the special one. I can’t imagine your deep loss. May God guide you through this. I pray for her family. Danielle’s parents have to be so proud to have raised such a lovely women. Heaven got a wonderful gift…but too soon. With heartfelt sympathy . Deepest sympathy to your family.